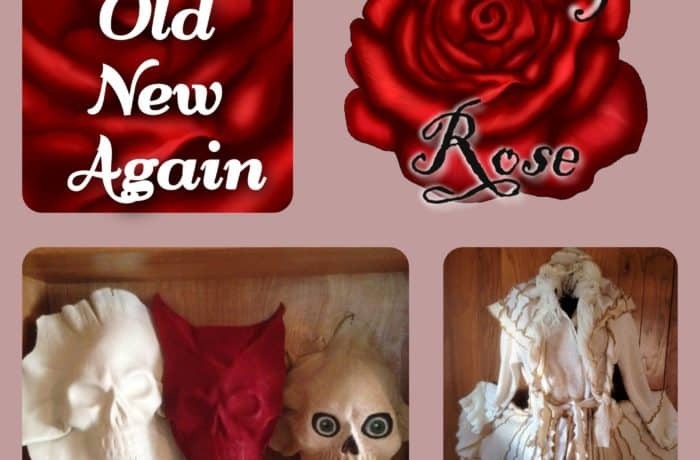 “Olde World Made New,” Fantasy Rose is a shoppe specializing in Upcycled/Repurposed Items. Mia Moyer & Doug Gladney transform old unusable items into awesome new treasures. Come see our Sweater Koats, Handcrafted Leather Masks & Dragon, Bodice Jewelry, Antique/Vintage restored jewelry, drinking vessels and our new line “Fantasy Wear” made from vintage fabric, lace and trims. We also do custom work.